CWRU Coding Boot Camp covers the most in-demand skills needed for front-end and back-end web development through live, hands-on classes. 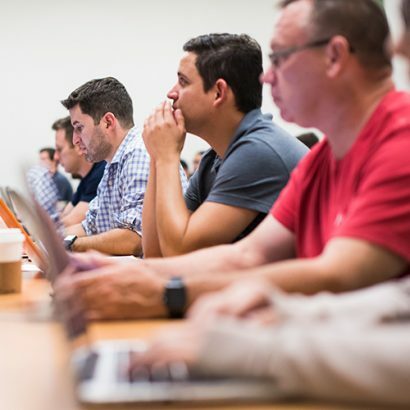 CWRU Data Analytics Boot Camp prepares individuals with the specialized skills necessary to land a job in the booming field of data analytics. CWRU Cybersecurity Boot Camp gives students hands-on training in networking, systems, web technologies, and defensive and offensive cybersecurity. Case Western Reserve University improves and enriches people’s lives through research that capitalizes on the power of collaboration and education that dramatically engages our students. We realize this goal through scholarship and creative endeavor that draws on all forms of inquiry; learning that is active, creative and continuous; and promotion of an inclusive culture of global citizenship. Why Get Skills-Based Training at CWRU Boot Camps? Our classes get students ready with the in-demand skills they need to advance or start a career in coding, data analytics, or cybersecurity. We combine an in-person classroom experience with dynamic tutorials and curricula taught by experienced instructors. With extensive student support and a wide array of resources, we provide an education that trains and helps you find a path to success. Our curricula teach the latest market skills* for the fields of web development, data analytics, and cybersecurity. Students benefit from a wide list of support services to help them navigate the program. Students build a diverse portfolio of web applications, projects, or learn skills applicable to certifications that demonstrate their knowledge. All of our boot camps offer convenient part-time schedules for students who wish to stay at their current job while learning valuable new skills. Our bootcamp curricula are cutting-edge, based on the most in-demand market skills to equip students for the digital era. We empower skilled instructors and TAs to deliver a powerful learning experience. In our full-stack web development, data analytics, and cybersecurity programs, students will create a solid foundation of skills to help them be competitive in these industries. Our programs provide career-planning assistance that includes portfolio or homework reviews, mock interviews, soft-skills training, job matching, and more. A Certificate of Completion from Case Western Reserve University showcasing your accomplishments to current or future employers. 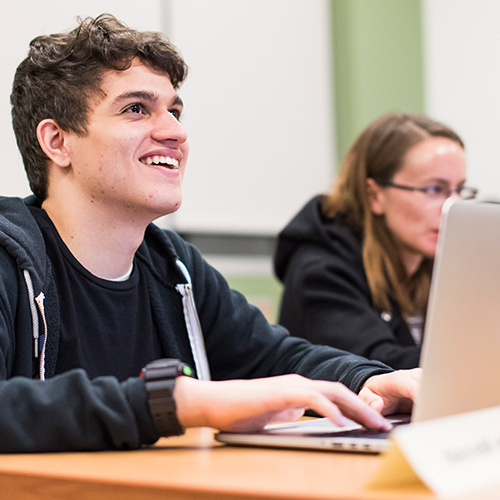 A strong portfolio of applications in our coding and data analytics programs, and a wide set of skills applicable to industry certifications in our cybersecurity program.